The powers of concentration are very evident when listening to and watching a great musician at work. 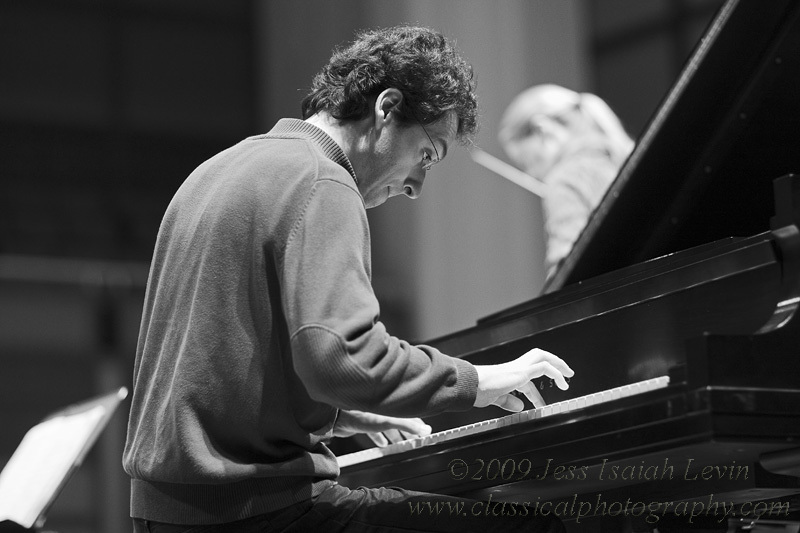 I was privileged to have a moment to capture pianist Shai Wosner rehearsing with the North Carolina Symphony, with assistant conductor Joan Landry on the podium. This was a rehearsal of the Mozart Concerto in A Major, K. 488.